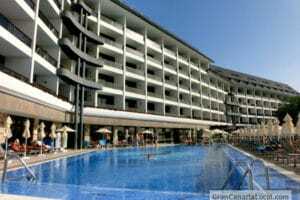 0.1 Traditionally, since the advent of tourism on Gran Canaria in the 1960s, tourists have stayed in hotels. 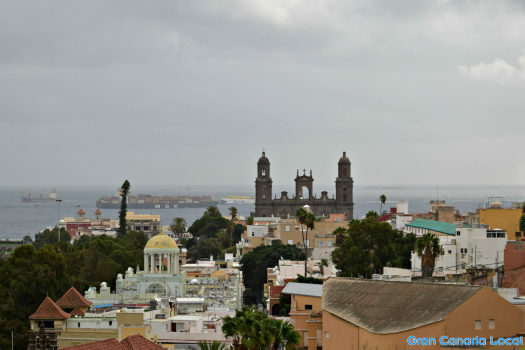 But if you look at the south of the island from a vantage point in San Agustín, the birthplace of Gran Canaria holiday accommodation, you can see the options decrease in size from skyscraper to more smallscale options. It’s the same in the capital with boutique hotels and Airbnb apartments such as Casa San Roque an increasingly popular choice of more discerning island visitors. 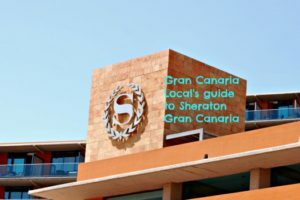 Traditionally, since the advent of tourism on Gran Canaria in the 1960s, tourists have stayed in hotels. 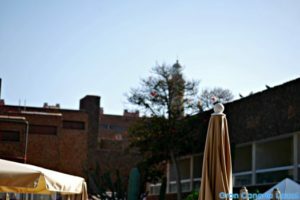 But if you look at the south of the island from a vantage point in San Agustín, the birthplace of Gran Canaria holiday accommodation, you can see the options decrease in size from skyscraper to more smallscale options. It’s the same in the capital with boutique hotels and Airbnb apartments such as Casa San Roque an increasingly popular choice of more discerning island visitors. If you’re a Gran Canaria Local oldhand, you’ll be familiar with our guides by now. First, we’ll let you know how to get to Casa San Roque and then explain about the history of this property. Concluding with an overview of Casa San Roque inside and outside. Google advises allowing around 20 minutes if travelling to Calle Florinda’s Casa San Roque from Gran Canaria airport via hire car along the GC1 only or GC1 and GC3 in tandem. If you arrive by bus instead, expect that journey time to at least double in length. There are a range of different Global combos involving various lines. 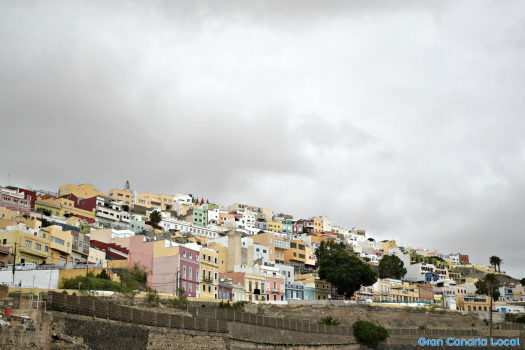 It’s a short walk, as in five to 10 minutes, to where it all started for Las Palmas de Gran Canaria: Vegueta. The on-foot route to neighbouring Triana’s slightly longer, mainly because the way’s not so pedestrian-friendly. French trilingual owner Julien, who’s added English and Spanish to his native tongue, estimates that it will take 12 minutes to reach Plaza de las Ranas, for example. Casa San Roque dates back to 1888. Then it was surrounded by banana plantations along with a sole neighbouring property, as you can see in old FEDAC photographs. 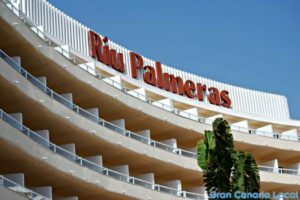 These days, the neighbourhood of San Roque has swelled somewhat but they still grow bananas in the Barranco de Guiniguada, the ravine which connects Las Palmas de Gran Canaria with Santa Brígida. You access the apartment through what was originally the stable door. And enter a lounge area with open kitchen. 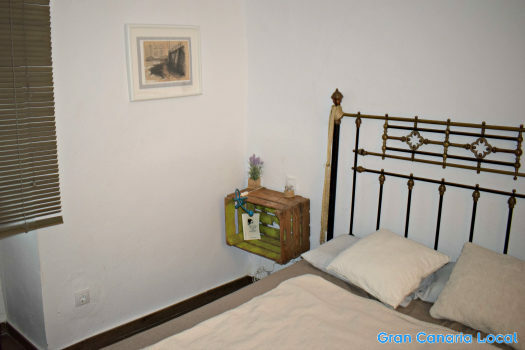 You’ll appreciate the complimentary cava in the fridge, one of several little touches that makes Casa San Roque feel even more homely. There’s free WiFi which you can use for work or play. We opted for the latter by flicking on Netflix and enjoying White Gold, the Inbetweeners-inspired saga of 1980s Essex double-glazing salesmen. For those who prefer their on-box entertainment of the live variety, there’s also a TVMucho set to catch up with news, soaps, and sport from home whilst you’re away. 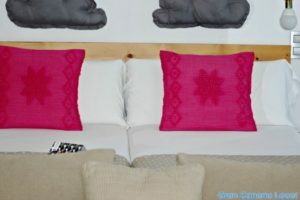 If visiting sans family, the double bed’s more than roomy. 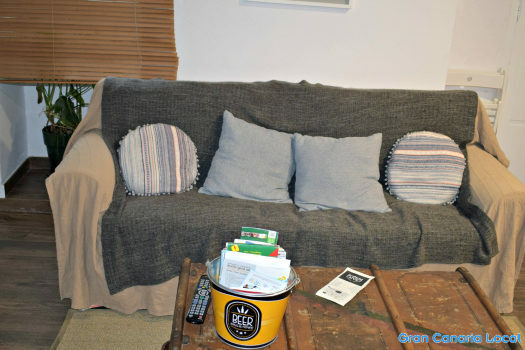 Extra kipping space is available on the lounge’s sofa bed. The power shower was a great way to wake up, if you’re an early starter like us. The patio is a big plus of staying at Casa San Roque. 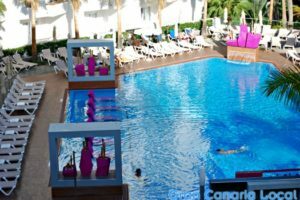 It’s the sort of place to enjoy a long Canarian lunch or wile away the day with a good book. Although ostensibly shared with the owner and family, we didn’t see, or indeed hear, anybody after checking in. If we were staying longer, we would have appreciated the helpfully-provided shopping basket and umbrella. As the Mercado de Vegueta and two branches of the Spanish supermarket Mercadona are within comfortable walking distance. Also, November’s rainy season appeared to have arrived two months early. Although Casa San Roque’s the most gentrified thing about the barrio, there are some colourful period properties to take in. This is the area Scottish trials cyclist Danny MacAskill chose to show off his rooftop skills in for his epic Cascadia shoot. A historic neighbourhood, the all-conquering villain Pedro de Vera (one of the island’s Spanish colonial powers) would establish the first sugar-cane mill on Gran Canaria after importing the sweet stuff from Madeira. 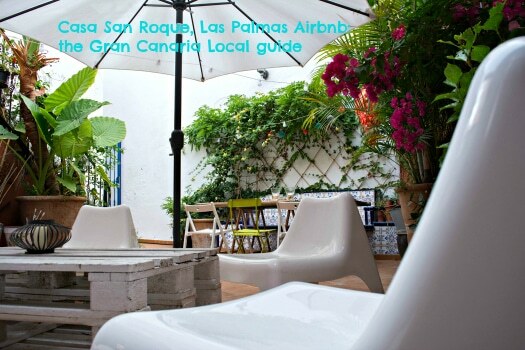 Disclaimer: We were a guest of Casa San Roque for the purposes of writing this guide. However, we are not on commission. To book, visit Airbnb.